Solar energy and rechargeable batteries are two environmentally friendly features that I love about this Solar Goose product. 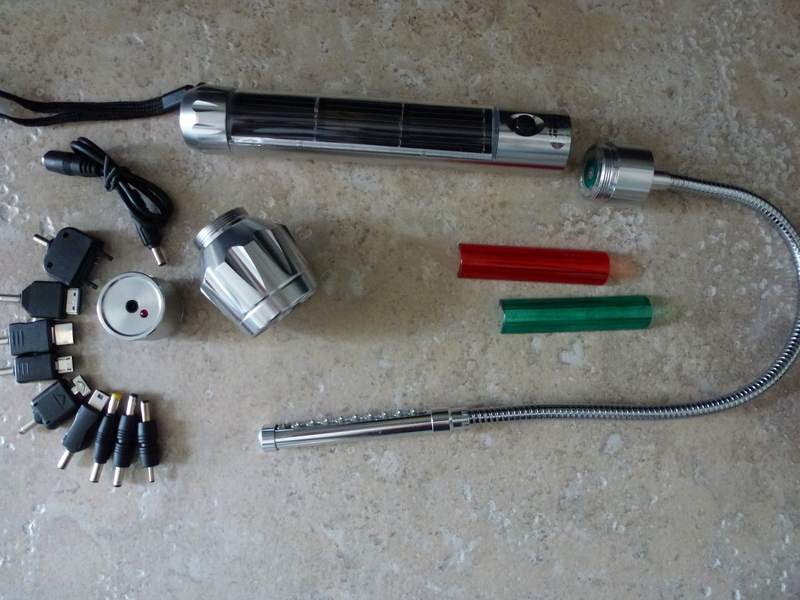 This is the 7 LED Ultimate Emergency Kit. 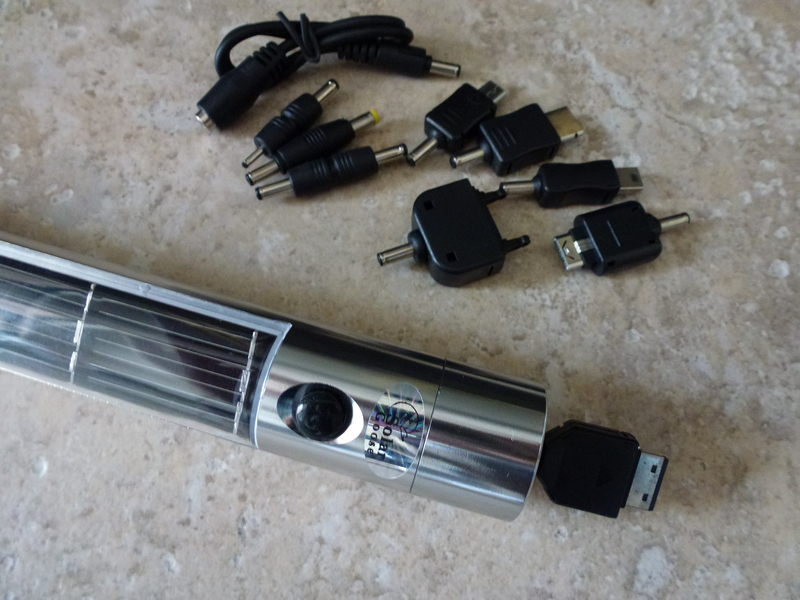 This kit includes the Ultimate Solar Base Charger, Ultimate 7 LED Head, Ultimate 10 LED Flexible Tube Light, and the Ultimate Mobile Charger Kit. The Ultimate Base Charger is the main component housing the solar panels. Just keep it in the sunlight to charge and it’s ready to go. Solar power is, of course, a renewable energy source. Free, too. The Base Charger also uses 2 AA Ni-Mh rechargeable batteries. Rechargeable batteries last a long time, saving you money. They keep more disposable batteries out of the landfill and are easy to recycle when they eventually run out. This is an environmentally friendly lighting and charging product. 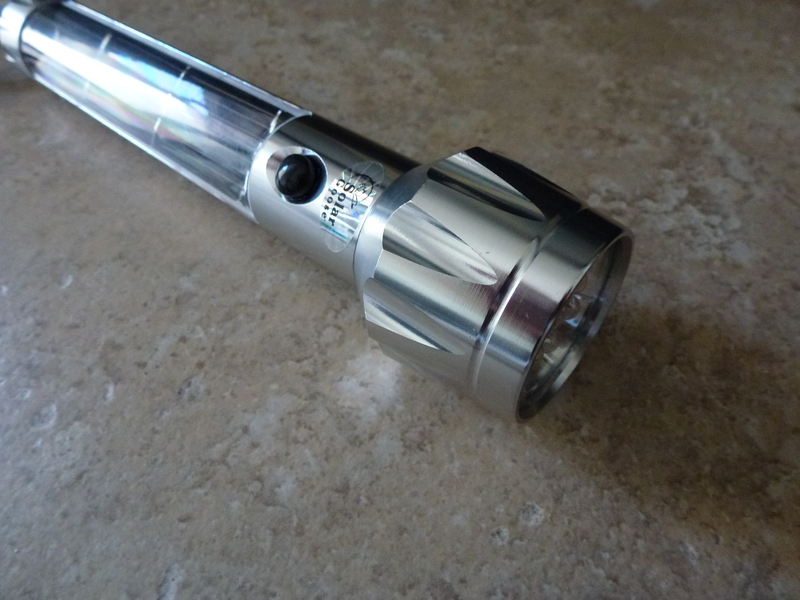 It is definitely useful for everyday lighting needs or during those dreadful power outages. 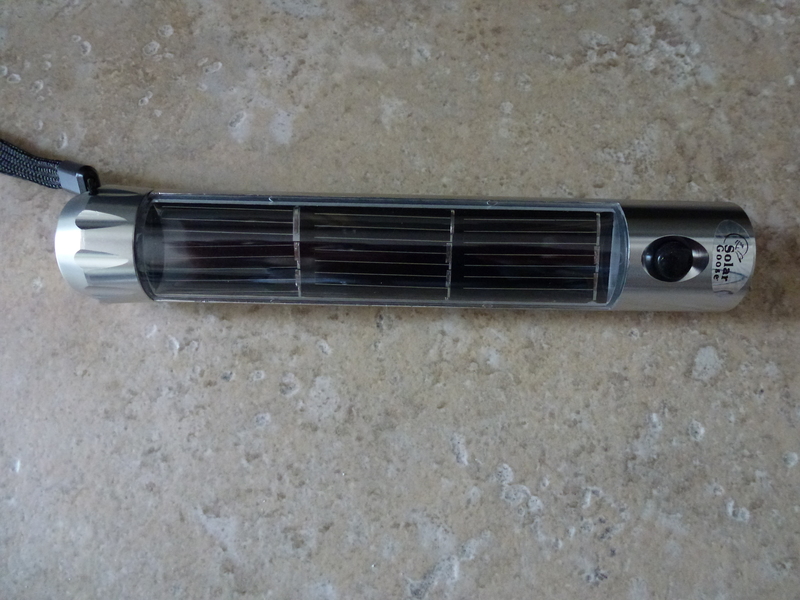 In addition to using solar energy and rechargeable batteries, it uses bright, long lasting LED lights. The Base Charger’s end cap is magnetic servicing another useful, and fun, function. The Mobile Charge Kit includes 10 adapters. It doesn’t include an adapter for the iPhone but that can be purchased separately if needed. This is a nicely constructed product that helps you to go green and save energy. 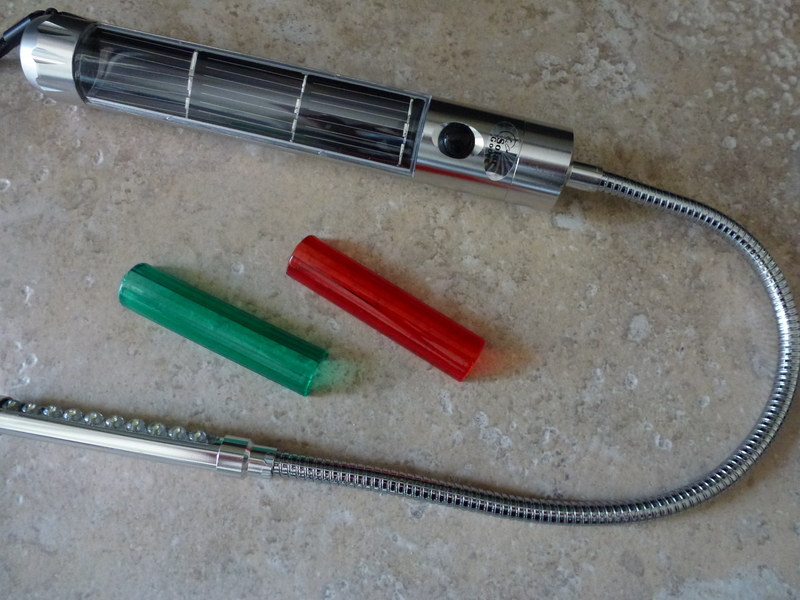 I received the 7 LED Ultimate Emergency Kit from Solar Goose to help facilitate the writing of an honest review. A positive review is not guaranteed, and all opinions are my own. No other compensation was received.